Don’t forget to use headnotes to enhance your research. 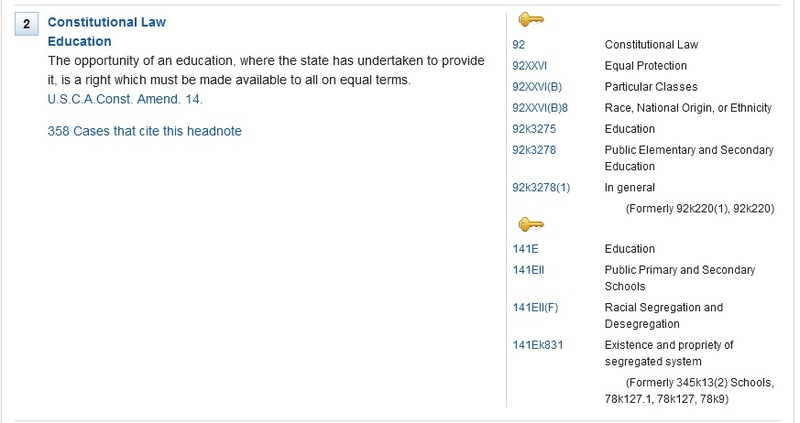 Headnotes are summaries of specific points of law that are covered in a case. They appear before the text of the opinion and can lead a researcher to additional cases that also discuss the given issue. In Westlaw, headnotes are part of the Key Number system, which classifies American law into broad topics and then divides those topics into narrower subtopics. Category Uncategorized | Comments Off on Use Your Head(notes)! 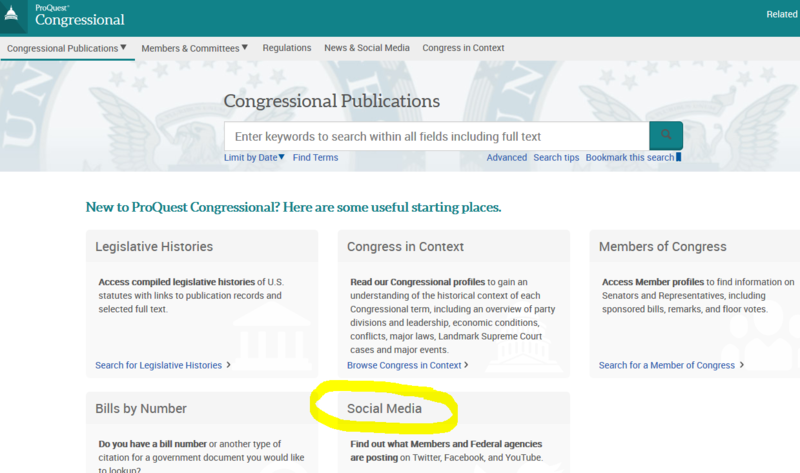 ProQuest Congressional is fantastic for finding information regarding government documents, especially compiled legislative histories, as we have written about before. A lesser-known feature of the product is the ability to search the social media of public officials. From the home page, go to Social Media. 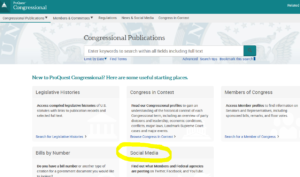 There you can search what members of Congress and Federal Agency officials are posting on Facebook, Twitter, YouTube, blogs, and press releases. Search by individual or enter specific search terms. A good strategy is to use this feature in conjunction with tracking legislation, or discovering what officials said in the past when legislation was being considered.